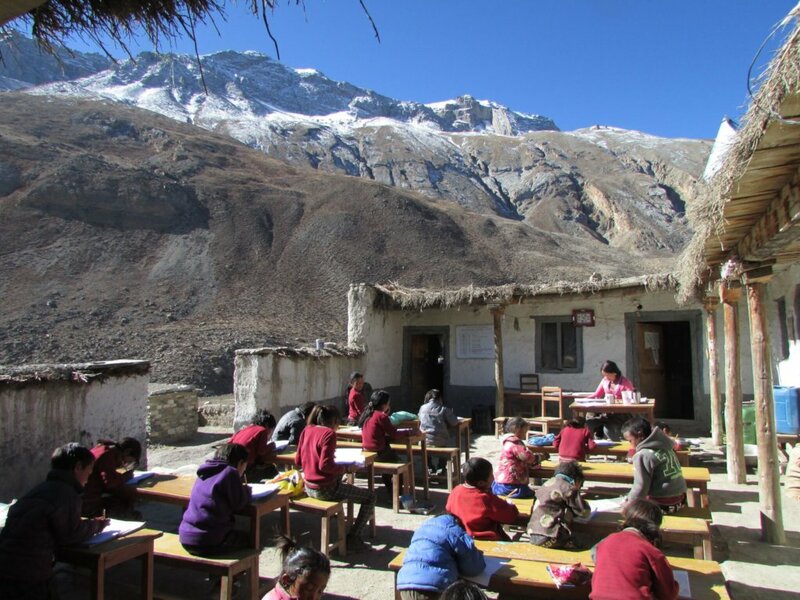 Support the expansion of Tsharka Elementary School to serve all the children in this Tibetan village located in the remote Himalayan region of Dolpo, Nepal. Currently, the school is filled to capacity with 60 students. There are 120 children in Tsharka Village. New classrooms are being built and more teachers must be hired. The International Community Development Foundation seeks money to complete four new classrooms, repair the existing school building, and pay salaries for three new teachers. Tsharka (Chharka) Elementary School is thriving. It was built in 2004 to accommodate 60 students, one child from each village family. There are 120 children in Tsharka Village and the school would like to offer places to all of them. Now 40 children are sent away to boarding schools in India and elsewhere; 20 children fall through the cracks. Young children deserve a chance to be educated in their own community, living with their families, absorbing their Tibetan culture, language and religion. Tsharka Elementary School needs to be expanded. Because the school has no room, a number of children are sent away to boarding schools, others do not attend school at all. Four new classrooms are nearly completed. The new classrooms need tables and benches, whiteboards and other equipment. The original school building needs serious repairs: a new metal roof, slate floors, window shutters, and fresh whitewash. Three new teachers are needed to teach the students who will fill the new classrooms. The culture of the Tibetan people of Nepal is threatened as children are sent away at an early age to attend school. If children can be educated locally, they can absorb their culture, language and religion. By expanding Tsharka School to accommodate all the village children, the children will receive not only a basic education, but will remain immersed in their Tibetan culture as long as possible.